With the help of a snowmobile in Sälen, you get easily and comfortably far into the wonderful mountain world. After just 10 minutes of driving, you can turn off the snowmobile and experience a complete silence. 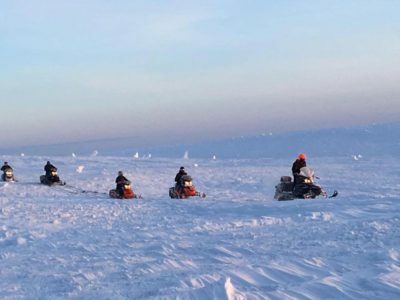 If you would like to experience more speed you can choose one of our snowmobile tours or rent your own scooter. You can rent snowmobiles from 2 hours to several days. 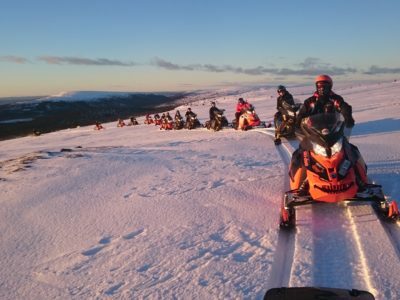 Are you looking for an arrangement for a conference group activity, we can help you with a snowmobile tour combined with, for example, lunch or dinner in a mountain cabin, dog sledding, icecarting etc. 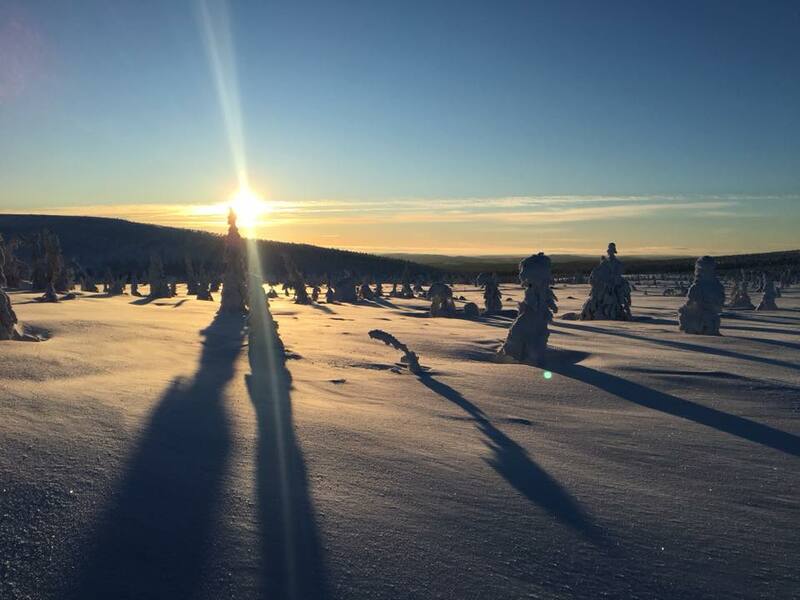 We offer guided tours in beautiful Sälen. Join for an adventure to remember! If you have more experience and want to explore the mountain on your own you can rent your own scooter. We also arrange events for larger groups or conferences which are always very popular. Spend a day together and experience the mountain in a new and fun way! 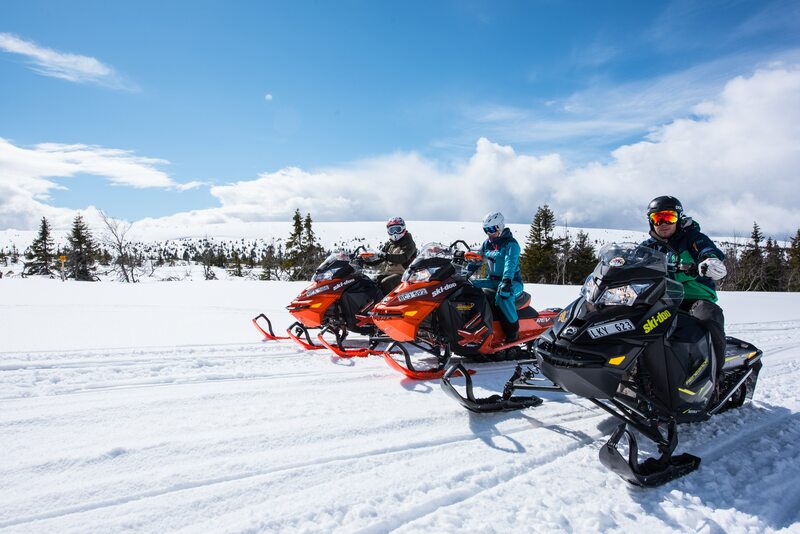 In Sälen we offer snowmobile safaris and tours and snowmobile rental at two different locations. 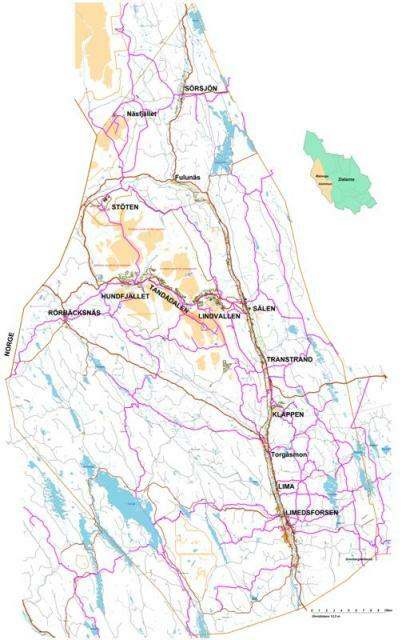 This safari starts at Högfjällsgården, the opposite site of Gammelgården and Sälen Fjällkyrka. 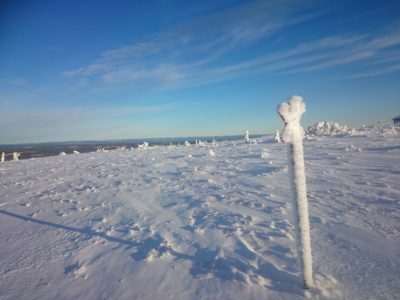 From here our skilled tour guides will guide you on a magnificent trip over the Kalfjället towards a waffle cabin where we stop and enjoy a coffee with a waffle. In Lindvallen you will find us at the roundabout - the entrance to the cottage area of Gubbmyren. 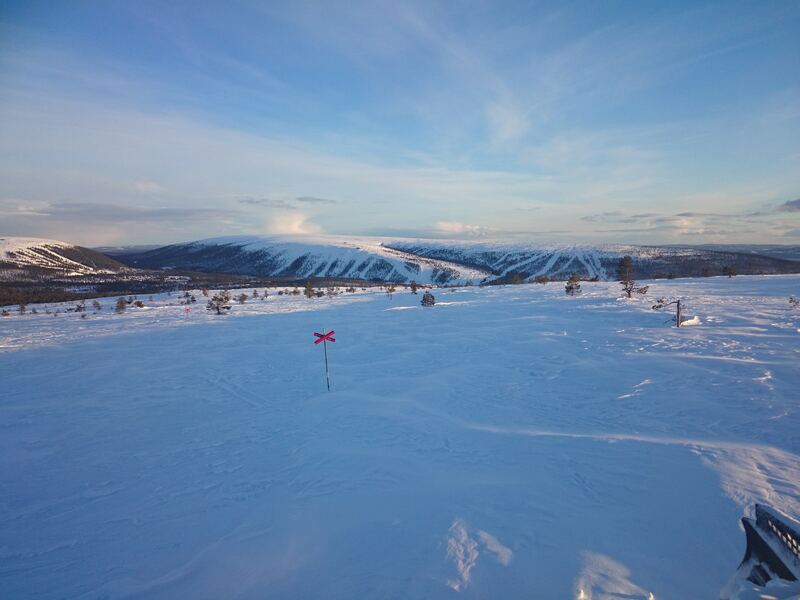 Here the weather and wind does not play such a big role in a successful trip in the Sälen mountains. We travel along the Östfjäll side where you get the chance to see our fantastic mountain scenery close by. 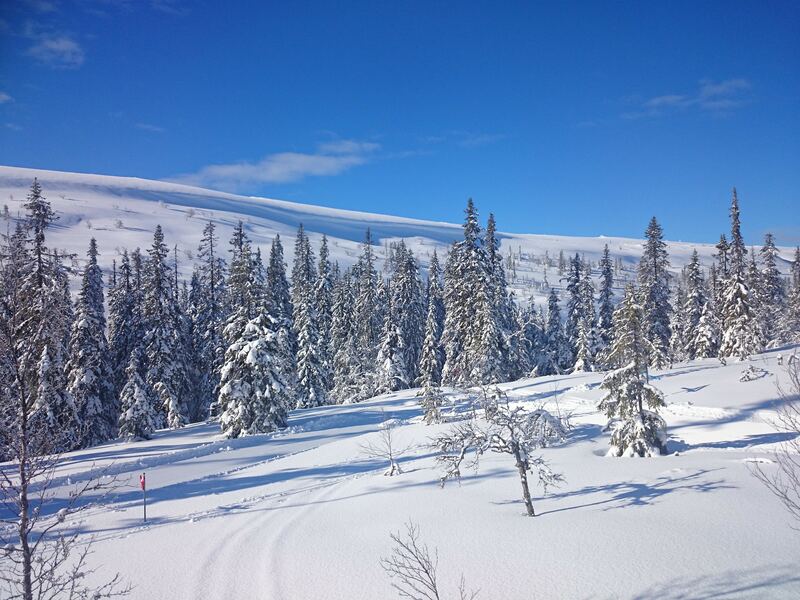 A cozy mountain-snowmobile experience you can not miss while in Sälen! under the whole winter season.